I was in Leeds this weekend, pushing between people doing their Christmas shopping on my way to the Bon Prix on the Rocks cocktail party where everyone was dressed to the nines in sequins and lace, (post to follow)! The Christmas markets have started up already and towering fairy lights stop the city from going dark at night now (which is at about 4:30pm), so it seems that Christmas is on our doorstep! Last year there was a campaign going around that you might have heard of, to 'shop small' this year. Supporting smaller brands and artists is so important for us to be able to keep going with our work! I don't know about you but I much prefer something hand crafted than store-bought (as nice as store bought gifts can be), there's something more special about a gift bought from an individual who's put their time into making the product- especially when they're all unique! 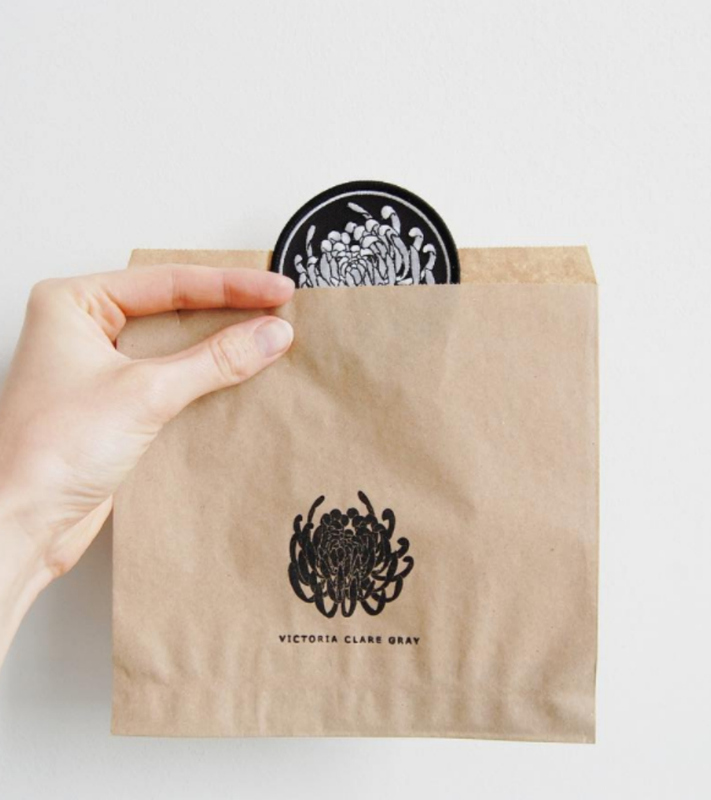 With the simple tagline of "We make things we like, influenced by other things we like, in collaboration with people we like", their shop has everything from homeware to enamel pins, clothing and patches in a gritty traditional tattoo style that I love. They even do babywear! Victoria is an artist from the Lake District who works mainly in pen, ink and print. 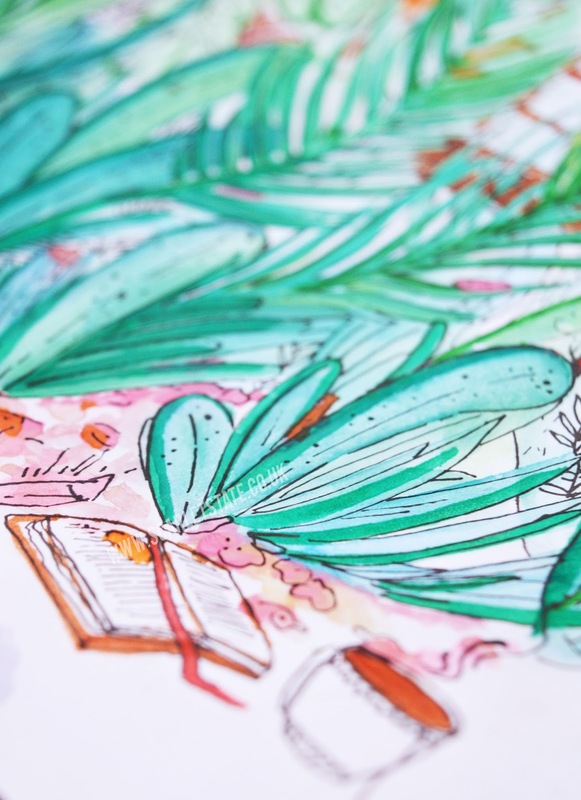 Taking inspiration and reference from the nature around her she creates these beautiful designs, drawn and screen printed in her own home studio by herself! As everything is handmade (minus the pins) you're getting a slightly unique product in every purchase which I adore. Not a brand, but a wonderful woman showing how to live without cruelty. 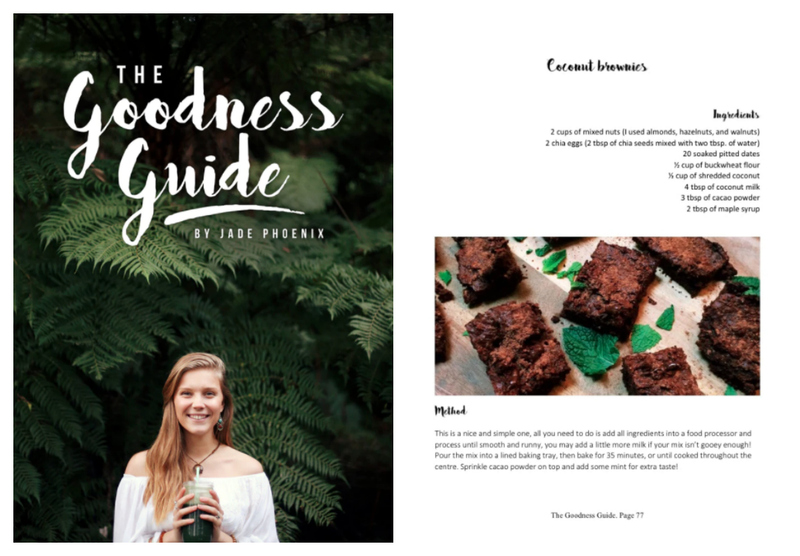 This 133 page e-book is something I use personally- chock full of vegan recipes, health info and vegan beauty tips (some crazy things that I didn't even know you could do), this book is the perfect gift for someone wanting to head towards or already in the vegan lifestyle. You can read my interview with Jade here! An illustrator and designer from the UK who studied for a stint in Cali takes his movie inspired art to Etsy, where you can purchase high quality prints and sets. Basing his work on characters, plots and cult movies these awesome designs are a must have for collectors and movie nerds like meeee! I LOVE this shop so much. An independent, eco conscious jewellery brand sells hand crafted jewellery made by Emily, in Manchester. She sources gorgeous crystals to create some beautiful individual pieces such as necklaces and rings- but it doesn't stop there with various affordable shampoo bars and the option to plant a tree for £1 with your order. Amaaaazing! These heirloom dolls are something a little more sentimental this christmas. Bigger in real life than they appear in the photographs, every detail in these dolls is sewn by Donna from the North West of the UK. Hand embroidered with little heart lips and with clothes that are sewn from scratch, these dolls will become something you keep for years to come. 20% of profits from each order goes to Macmillian Cancer, what's not to love? Big in the blogosphere, Punky Pins is what it says on the tin- illustrated enamel pins and perfect patches to customise any piece of clothing! Based in the North East of the UK, Punky Pins was founded by Claire Whalt who still runs this independent business. I'm loving the Stranger Things pins at the moment! Another UK based company, Hallow Collective is a small brand I've been following on Instagram for a few years. It's been awesome to see their range of products expand, similar to the vibe of Red Temple Prayer. "We're two friends creating things we love, with a weakness for killer tees and leather covered in patches." They stock badass jewellery, printed slogan tee's, mugs and more. From homeware to greetings cards, totes and prints. Helen, from the UK screen prints these western designs in her own home so you know each product has been cared for and hand crafted! I'm loving the cowboy/pin up vibe her products give and I'm always keeping my peepers on her shop for new products. I might do another post like this, this month if you found this helpful! I can't believe the talent of creatives out there and all this hunting has really got me inspired to do more with my creativity and illustrations. Maybe this time next year I'll have a store set up ready for your Christmas shopping. Who's your favourite independent business to buy from? Let me know! If you liked this you might like my Bedroom & Workspace Tour or my Autumn Homeware Wishlist. *This post was not sponsored one bit. Please check out these creators as they really are incredibly talented and I love their products.